PDF files are great because they save the integrity of the document you’re copying (or printing). We did this tutorial using Chrome, but if you’re using Windows 10 you can do it with any browser as we’ll explain at the end of this post. If you’re using Chrome you can do this on Windows 7, Windows 8, Windows 8.1 and Windows 10. We chose one of our articles for this tip. You know what they say — if you don’t toot your own horn nobody’s going to toot it for you. 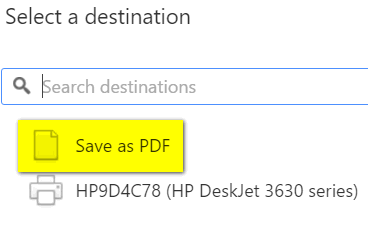 Under “Select a destination” choose “Save as PDF” (don’t forget to switch this back to your printer next time you want to print something or else you’ll end up with another PDF). 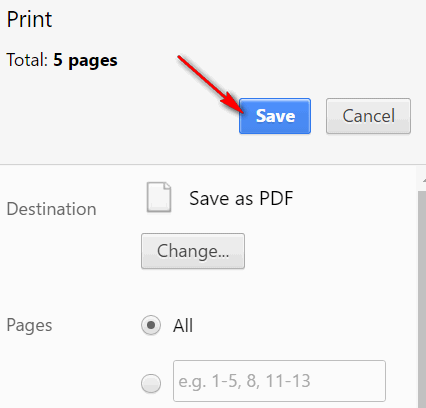 Now that you have “Save as PDF” selected as the destination, click the “Save” button. File Explorer (Windows Explorer) will open and you can browse to wherever you want to save the PDF file. We chose the root of Drive G and saved it as is, with the title of the article as its title. 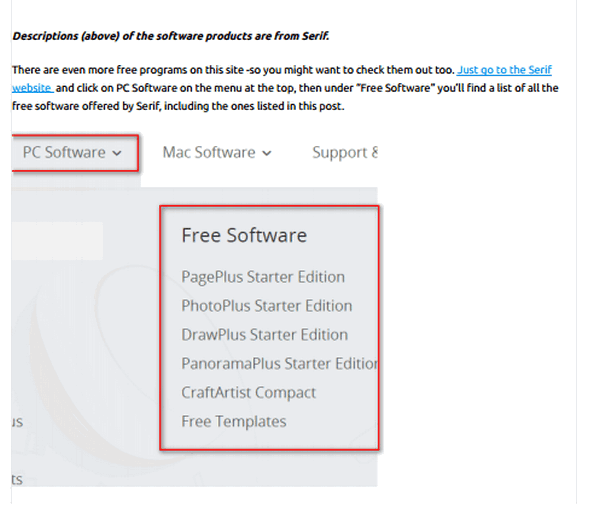 But you can save Web pages with any name you want and save them to any folder/drive you want. When we open the PDF file we just saved, we find it to be just like the Web page. And that’s all there is to it. 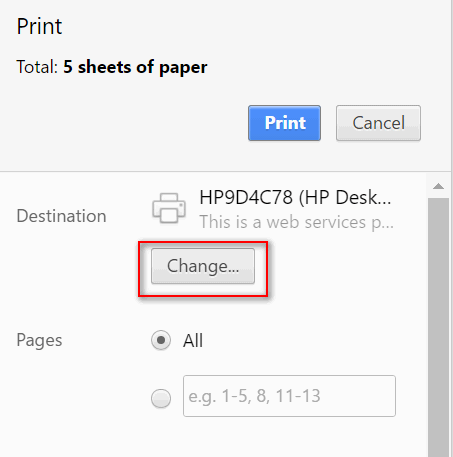 You can save any Web page as a PDF file. Using any browser you want, go to the page you want to save as a PDF file. If you don’t have Windows 10, and you’re not using Chrome, and you do have a PDF program like “Foxit Reader” (free version is fine), you’ll have the option to save the file as PDF using it (providing your 3rd-party PDF tool supports it). Why would you want to do this? If you like saving recipes, household tips, computer tips and tricks, how-to articles, etc. , PDF files are great because they preserve the page contents. (Note: If the page has a background image, the image won’t be preserved in your PDF file. But usually that’s no big deal. 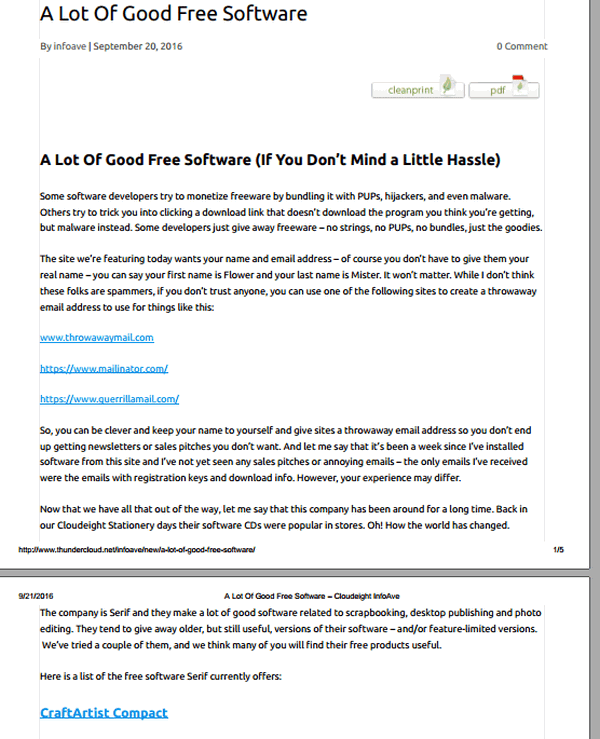 i sometimes combine a readability extension or bookmarklet, and the print to pdf feature, and get nice clean pdfs. WOW. LOVE THIS AND WILL DEFINITELY BE USING THIS HELPFUL TIP. THANKS.